Dr Cheddi Jagan was convinced that with a coordinated international effort, poverty and hunger could be eradicated in our lifetime. Throughout his life Cheddi Jagan fought for the poor, marginalized, oppressed and suppressed peoples of Guyana and the world at large. His proposals for a New Global Human Order are his legacy to the world. ever be afforded to us. siblings to a large extent. violence as a means to an end. biography of his life would make this clear. for these qualities gave me the life I have today. 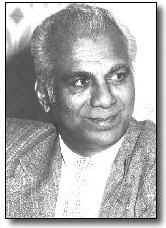 Cheddi Jagan - Father of the nation of Guyana. Cheddi Jagan - Guyana's Hero. Cheddi Jagan - Photo and Poster gallery. I found this piece of letter very interesting for its emotional appeal. Is this written by Cheddi Jagan's son who also bears the name of his father whom I had the opportunity to interact with a couple fo times when I was in Guyana. The younger Jagan was interesting as he was intolerant of any criticism against his father and mother Cheedi and Janet Jagans. I do agree that Cheddi Jagan is the most outstanding of politicians of Indian origin from Caribbean. His passionate writings about World politics during cold war era are brilliant and were honest in every sense of the word. Though the western and Caribbean and Indian left failed to give him due status such as Simon Bolivar or Fidel Castro or even Dr. Eric Williams, a number of Caribbean scholars do recognise and acknowledge his contribution. Today if one revisits Jagan's writings and his political position with respect to developing secular politics in Guyana I must say that he is an enormous failure. He failed on two accounts, unlike many of his leftist contemporaries. He could not see through the designs of US and UK installing Burnham and thereby creating a racial division. His own or his family (mainly wife Janet Jagan's) interests for power overide the interests of the Guyanese public, particularly Indian communities, Hindus more importantly. He failed to see the emerging racial polarisation in Guyanese politics and played almost into the same hands of the African racists or their white masters, thereby endagered Indian interests. It is fact that most of the educated Indians in Guyana chose to distance themselves from Jagan. His own political party still riding on the racially polarised politics is a major failure in addressing either Indian or African dilemma. But all these failures does not mean that he was neither important nor mean. It would be interesting to look at the Jagan kind of politics from a new perspective. Jagan's advocacy was of total integration of Indians and Africans racially to produce a hybrid people, which his wife Janet Jagan still believes is the only solution to Guyanese problems.